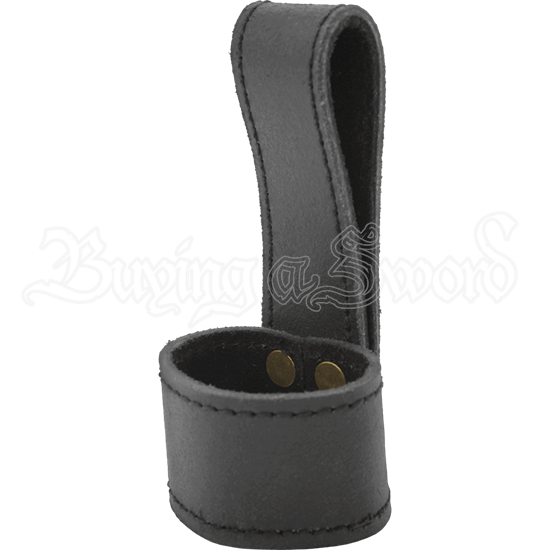 If you want to take your trusted dagger with you on your adventures, the LARP Dagger Holder is a classic way to carry it! This leather dagger frog has a traditional loop structure that can be worn on either the right or left side. Suitable for almost any character from fantasy or history inspiration, this leather dagger holder has softer split-leather on the insides of both loops to help protect your belt and LARP weapon. Easy to wear and incredibly versatile, this leather LARP frog should be a staple in any adventurers set of equipment. This item is handmade, so its exact measurements may vary slightly.